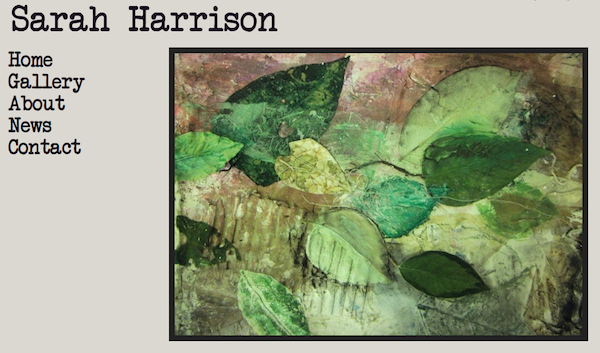 Sarah Harrison is an art student based in Leeds, UK. She has recently created a very nice gallery without walls on Gallereo, in order to house and display some of her latest and greatest creations. Working on the Nevinson template, Sarah has created an art gallery that really shows what a tactile and explorative artist she is. 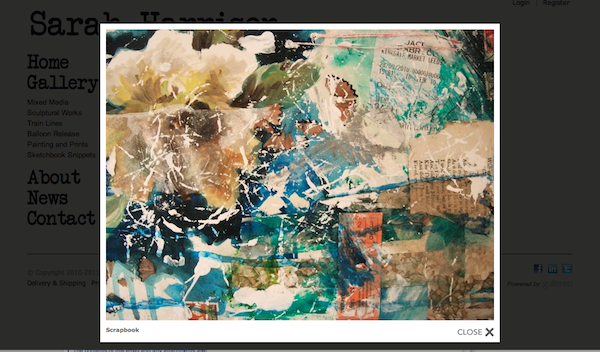 Prints, painting, collage and photographs litter the pages, coming together creating patchworks of texture and form. There's something about Sarah's work that makes you want to reach out and touch it. Her use of everyday materials make the work relatable, while the combinations, collections and compositions make the work endlessly interesting. Visit Sarah's website to view more of her work!